If you are looking, this week's giveaway details are posted right here. :) There have been a variety of different giveaways and this week I also have something new. Are are ready? 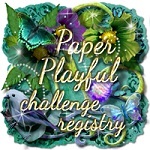 This week's giveaways are personalized Polka Dot Pal or Jr. Hatter images. Oh yeah! This prize is for THREE lucky winners! Each winner can select whether you want a Polka Dot Pal or Jr. Hatter girl. Then you can decide the theme, hair style and/or outfit. Or, if you'd prefer a boy image . . I can do that too. All you need to do to be eligible for this prize is to leave a comment below. I will randomly select the lucky winners and post them next Thursday. Good luck! What a great prize. I take my chance. What a great opportunity! Thank you for this fantastic giveaway! Wow, that's an awesome giveaway! Thanks so much! Sounds wonderful ......*uuuuh* all fingers crossed! What a fantastic giveaway!! Thank you and have a wonderful Adventweek. Oh that's a really Awesome give away!!!!! What an amazing opportunity!! and so fun!! Thank you for doing all these wonderful giveaways! What a great giveaway!! Thank you for offering this! Wauw this is Awesome. So Nice this giveaway. I give it a shot. Awesome prize! You're right, I would have to think! I would love to win but would love a boy image in overalls and a straw hat. What a super prize. Thank you for the chance to win. What an awesome give away - would be tickled pink to win!